With the GB Surf 2018 SA Championships just over three months away, I thought it a good idea to give some information on Lamberts with regards to the event as well as accommodation options. There are various types of accommodation in the area, from camping, B&B, Guesthouses, self-catering as well as a hotel, fairly close to Yo-Yo’s. You can download a list of accommodation from our website supplied by the Lamberts Tourism Office with various options and contact numbers for ease of reference. 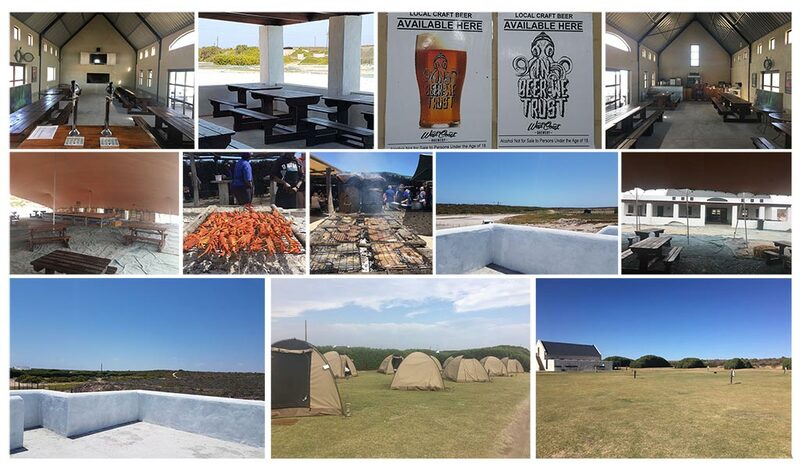 We will be holding the Opening and Closing Functions at WEST COAST BREWERY – MALKOPPAN GUESTFARM, just outside of Lamberts (about 5km’s from the break) and the Weskus okes are seriously keen on pulling out all the stops for us. Adjacent to the brewery, where the bar will be open each night, is a large campsite called Malkoppan Guest Farm and we have negotiated a special rate of R50 pp/pn. We are also arranging Tented Accommodation at the site for the folks who are travelling a long distance and on a serious budget at R350 per tent per night (including 2X mattress’) plus the camping fee of R50pp/pn. There is a refundable deposit of R500 for this option. The tents can sleep 2, or at a push, 3. The campsite has received very good reviews online and is suitable for families. A couple of people have opted to stay in E-Bay, and this is about a 30min drive, now that the roads have been tarred ???? . In addition to the already mention list of accommodation, you can contact Carol Burger (0837021414 / 0834581575, e-mail carol@mtnloaded.co.za ). Mention you are part of the Longboard Champs and she will find and arrange a participant’s discount on a whole range of accommodation in the area. We are also arranging entertainment in the evenings… watch this space! One of the attractions at this venue will be the Farmers Market at Malkoppan on Saturdays. On a more serious note, the area has been hard hit by the economic recession, and our aim is to assist some of the local outreach programmes in the area. In this regard, please may I request that any unused surfing equipment that can be donated, be brought with so we can arrange for the handover. Also, we will be assisting some of the local community with foodstuff and clothing. We will keep you guys updated on a regular basis from here on in to the event, so good luck with the trials! !